The relevant portion of the judgement in Bharathidasan University vs. AICTE is below. This has been extracted from the full judgement given further below. The extracted para has been marked in bold in full text for reference. The power to grant approval for starting new technical institutions and for introduction of new courses or programmes in consultation with the agencies concerned is covered by Section 10(k) which would not cover a University but only a technical institution. ALL INDIA COUNCIL FOR TECHNICAL EDUCATION & ORS. S. Rajendra Babu & Doraiswamy Raju. The only and important question of law that arises for consideration in this appeal is as to whether the appellant-University created under the Bharathidasan University Act, 1981 [hereinafter referred to as the University Act] having its area of operation over the Districts of Tiruchirappalli, Thanjavur and Pudukkottai in the State of Tamil Nadu, should seek prior approval of the All India Council for the Technical Education [hereinafter referred to as AICTE] to start a department for imparting a course or programme in technical education or a technical institution as an adjunct to the University itself to conduct technical courses of its choice and selection. The Bharathidasan University Act, 1981 created the University in question to provide, among other things, for instruction and training in such branches of learning as it may determine; to provide for research and for the advancement and dissemination of knowledge; to institute degrees, titles, diplomas and other academic distinctions; to hold examinations and to confer degrees, titles, diplomas and other academic distinctions on persons who have pursued an approved course of study in a University college or laboratory or in an affiliated or approved college and have passed the prescribed examinations of the University; to confer honorary degrees or other academic distinction under conditions prescribed; and to institute, maintain and manage institutes of research, University colleges and laboratories, libraries, museums and other institutions necessary to carry out the objects of the University, etc. In other words, it is a full-fledged University recognized by the University Grants Commission also. When the appellant-University commenced courses in technology such as Information Technology & Management, Bio- Engineering & Technology, Petrochemical Engineering & Technology, Pharmaceutical Engineering and Technology, etc., the AICTE filed a Writ Petition No.14558 of 1998 before the Madras High Court seeking for a writ of mandamus to forebear the University authorities from running/conducting any courses and programmes in those technical courses. The sum and substance of the grievance as well as the objection put forward was that the University did not apply for and secure the prior approval for those courses before their commencement by the University as envisaged under the All India Council for Technical Education Act, 1987 [hereinafter referred to as the AICTE Act] and the statutory regulations made thereunder by the AICTE, particularly Regulation No.4, which obligated even an University to obtain such prior approval. The stand of the appellant- University was, as it is now before us, that the appellant-University will not fall under the definition of Technical Institution as defined under Section 2(h) of the AICTE Act and consequently, the regulations made for seeking prior approval of the AICTE even by the Universities to commence a course or programme in technical education or a new department for the purpose, were in excess of the regulation-making powers of the AICTE and consequently, are null and void and cannot be enforced against the appellant-University to the extent it obligates even Universities to seek and secure such prior approval from the AICTE. The learned Single Judge has chosen to accept the stand of the AICTE by applying and following the ratio of the decision of a Full Bench of the Andhra Pradesh High Court reported in M. Sambasiva Rao alias Sambaiah & Ors. Vs. Osmania University, Hyderabad rep. By its Registrar & Ors. [1997(1) Andhra Law Times 629] and as a consequence thereof, ordered the cancellation of the admissions made by the University. When the matter was pursued before a Division Bench, the learned Judges in the Division Bench also felt convinced of the ratio laid down by the Full Bench of the Andhra Pradesh High Court and rejected the appeal, necessitating the appellant-University to come to this Court. Since the approach adopted by the learned Single Judge and the Division Bench are on the same lines as the one adopted by the Full Bench of the Andhra Pradesh High Court, which the Madras High Court has also purported to follow, it would be just and necessary to refer to the said decision and also consider the correctness or otherwise of the ratio in the said decision. In M. Sambasiva Rao (supra), while adverting to the relevant provisions of the University Grants Commission Act, 1956, the Andhra Pradesh State Council for Higher Education Act, the A.P. Universities Act, 1991, the AICTE Act and the All India Council for Technical Education (Grant of approval for starting new Technical Institutions, introduction of courses or programmes and approval of intake capacity of seats for the courses or programmes) Regulations, 1994 [hereinafter referred to as `the Regulations], the High Court arrived at a conclusion that the AICTE Act being a special law on a particular category of education, overrides even the University Grants Commission Act, which, in the opinion of the High Court, was in the nature of a general law in regard to imparting of education by Universities in general in respect of common matters covered thereunder. In spite of both the Acts being those made by the Parliament within its legislative competence even as later law, the AICTE Act was held to be binding. As for the relative operation of the AICTE Act and the State Act dealt with therein, it was held that the AICTE Act occupied the field and that, therefore, the State Act has to yield and consequently statutory regulations made are not only valid and had the force of law as a subordinate legislation, but no question of repugnancy between the Regulations and AICTE Act or any alleged excess exercise of power in framing such regulations, arose on the facts of the case having regard to the creation of the AICTE for the proper planning and coordinated development of technical education system throughout the country. The Andhra Pradesh High Court was of the view that anybody or everyone of the authorities and institutions concerned with a technical education all over the country would fall within the meaning of Technical Institution as defined in Section 2(h) of the AICTE Act and, therefore, be bound by the authority of the AICTE under the AICTE Act and the Regulations made thereunder. In coming to such conclusions, the Full Bench tried to draw sustenance from the decisions of this Court reported in Unni Krishnan J.P. Vs. State of A.P. [1993(1) SCC 645] and State of Tamil Nadu Vs. Adhiyaman Educational and Research Institute and Ors. [1995(4) SCC 104]. Shri Shanti Bhushan, learned senior counsel appearing for the appellant-University, urged that a university like the appellant as defined under Section 2 (i) will not fall within the definition of a technical institution contained in Section 2 (h) of the AICTE Act and, therefore, equally stood outside the purview of Section 10 (1) (k) of the said Act and consequently not obliged to seek for and obtain the prior approval of the AICTE for starting a department or introducing new courses or programmers. The regulations framed by the AICTE for the same reason insofar as it obligates even universities to obtain such prior approval, cannot be held to be binding or enforceable against the appellant by the mere fact that the regulation specifically states so, notwithstanding the provisions contained in the Act stipulating to the contrary and any regulation so made will be void and unenforceable. It was also urged that the decision of the Full Bench of the Andhra Pradesh High Court does not lay down the correct position of law and the decisions of this Court relied upon in the said decision really do not lend any support to the principles ultimately laid down therein and, therefore, the Madras High Court ought to have considered the issues independently and not followed the ratio of the Full Bench in M. Sambasiva Raos case (supra). The strong grievance ventilated on behalf of the appellant is that both the Andhra Pradesh and Madras High Courts have failed to properly construe the relevant provisions of the Act, applying the correct principles of interpretation and also giving due consideration and weight to the various stipulations contained in Section 10 which made specific reference wherever the universities also have to adhere to the provisions of the AICTE Act, Rules and Regulations. It was also urged that no Rules or Regulations inconsistent with the provisions of the Act could have been either made under the Act or sought to be enforced, legitimately. Strong reliance has also been placed on the decisions reported in S.K. Singh & Others vs V.V. Giri & another (AIR 1970 SC 2097); D.K. Trivedi & Sons and others vs State of Gujarat and others (AIR 1986 SC 1323) as also the very decision in Unni Krishnan, J.P. and others vs State of Andhra Pradesh and others [(1993) 1 SCC 645] and State of T.N. and another vs Adhiyaman Educational & Research Institute and others [(1995) 4 SCC 104] and Medical Council of India vs State of Karnataka and others [(1998) 6 SCC 131]. Dr. J.P. Verghese, learned counsel for the AICTE, while drawing sustenance from the reasoning of the judgment under challenge as well as the Andhra Pradesh case, urged that having regard to the overall functions and powers of the Council under the Act to ensure proper planning and coordinated development of the technical education system throughout the country, the qualitative improvement of such education and regulation and proper maintenance of norms and standards in the technical education system and matters connected therewith envisaged under Section 10 of the Act particularly Section 10 (1) (k) read with Section 20 (1) (b) of the ATE Act, the AICTE will have pervasive control over universities also and consequently, the prior approval of AICTE has to be obtained by even the universities like any other technical institution for starting any new department or institute or commencing a new course or programme in technical education. The totality of the purpose and scheme, claimed to be underlying the enactment is said to confer such sweeping powers over all functional activities relating to technical education and the universities cannot claim immunity from such obligation cast under the Act and the regulations made by the AICTE. The sheet anchor of support for the respondent seem to be the decision reported in State of T.N. and another vs Adhiyaman Educational & Research Institute and others (supra) and Jaya Gokul Educational Trust vs Commissioner & Secretary to Government Higher Education Department, Thiruvanathapuram, Kerala State and another [(2000) 5 SCC 231], in addition to the decision of the Andhra Pradesh High Court. We have bestowed our thoughtful consideration to the submissions made on either side. When the legislative intent is found specific mention and expression in the provisions of the Act itself, the same cannot be whittled down or curtailed and rendered nugatory by giving undue importance to the so-called object underlying the Act or the purpose of creation of a body to supervise the implementation of the provisions of the Act, particularly when the AICTE Act does not contain any evidence of an intention to belittle and destroy the authority or autonomy of other statutory bodies, having their own assigned roles to perform. Merely activated by some assumed objects or desirabilities, the Courts cannot adorn the mantle of legislature. It is hard to ignore the legislative intent to give definite meaning to words employed in the Act and adopt an interpretation which would tend to do violence to the express language as well as the plain meaning and patent aim and object underlying the various other provisions of the Act. Even in endeavouring to maintain the object and spirit of the law to achieve the goal fixed by the legislature, the Courts must go by the guidance of the words used and not on certain pre-conceived notions of ideological structure and scheme underlying the law. In the statement of objects and reasons for the AICTE Act, it is specifically stated that the AICTE, was originally set up by a Government resolution as a National Expert Body to advice the Central and State Governments for ensuring the coordinated development of technical education in accordance with approved standards was playing an effective role, but, However, in recent years, a large number of private engineering colleges and polytechnics have come up in complete disregard of the guidelines, laid down by the AICTE and taking into account the serious deficiencies of even rudimentary infrastructure necessary for imparting proper education and training and the need to maintain educational standards and curtail the growing erosion of standards statutory authority was meant to be conferred upon AICTE to play its role more effectively by enacting the AICTE Act. Since it is intended to be other than a University, the Act defines in Section 2(i) `University to mean a University defined under clause (f) of Section 2 of the University Grants Commission Act, 1956 and also to be inclusive of an institution deemed to be a University under Section 3 of the said Act. 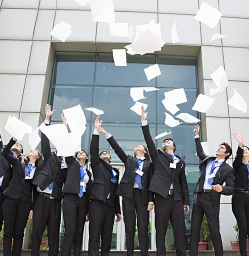 Section 10 of the Act enumerates the various powers and functions of the AICTE as also its duties and obligations to take steps towards fulfillment of the same. One such as envisaged in Section 10(1)(k) is to grant approval for starting new technical institutions and for introduction of new courses or programmes in consultation with the agencies concerned. Section 23, which empowers the Council to make regulations in the manner ordained therein emphatically and specifically, mandates the making of such regulations only not inconsistent with the provisions of this Act and the rules. The Act, for all purposes and throughout maintain the distinct identity and existence of `technical institutions and `universities and it is in keeping tune with the said dichotomy that wherever the University or the activities of the University is also to be supervised or regulated and guided by the AICTE, specific mention has been made of the University alongside the technical institutions and wherever the University is to be left out and not to be roped in merely refers to the technical institution only in Sections 10, 11 and 22(2)(b). It is necessary and would be useful to advert to Section 10(1)(c),(g),(o) which would go to show that Universities are mentioned alongside the `technical institutions and clauses (k),(m),(p),(q),(s) and (u) wherein there is conspicuous omission of reference to Universities and reference being made to technical institutions alone. 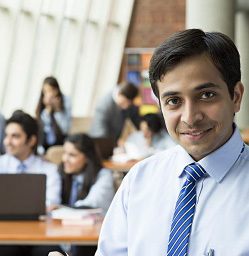 It is equally important to see that when the AICTE is empowered to inspect or cause to inspect any technical institutions in clause (p) of sub-section (1) of Section 10 without any reservation whatsoever, when it comes to the question of universities it is confined and limited to ascertaining the financial needs or its standards of teaching, examination and research. The inspection may be made or cause to be made of any department or departments only and that too, in such manner as may be prescribed as envisaged in Section 11 of the Act. Clause (t) of sub-section (1) of Section 10 envisages the AICTE to only advice the UGC for declaring any institution imparting technical education as a deemed University and not do any such thing by itself. Likewise, clause (u) of the same provision which envisage the setting up of a National Board of Accreditation to periodically conduct evaluation of technical institutions or programmes on the basis of guidelines, norms and standards specified by it to make recommendation to it, or to the Council, or to the Commission or to other bodies, regarding recognition or de-recognition of the institution or the programme. All these vitally important aspects go to show that the AICTE created under the Act is not intended to be an Authority either superior to or supervise and control the Universities and thereby super impose itself upon such Universities merely for the reason that it is imparting teaching in technical education or programmes in any of its Departments or Units. A careful scanning through of the provisions of the AICTE Act and the provisions of the UGC Act in juxtaposition, will show that the role of AICTE vis-à-vis the Universities is only advisory, recommendatory and a guiding factor and thereby sub- serve the cause of maintaining appropriate standards and qualitative norms and not as an authority empowered to issue and enforce any sanctions by itself, except submitting a Report to the UGC for appropriate action. The conscious and deliberate omission to enact any such provision in the AICTE Act in respect of Universities is not only a positive indicator but should be also one of the determining factors in adjudging the status, role and activities of AICTE vis-à-vis Universities and the activities and functioning of its departments and units. All these vitally important facets with so much glaring significance of the scheme underlying the Act and the language of the various provisions seem to have escaped the notice of the learned Judges, their otherwise well-merited attention and consideration in their proper and correct perspective. The ultra activist view articulated in M. Sambasiva Raos case (supra) on the basis of supposed intention and imagined purpose of the AICTE or the Act constituting it, is uncalled for and ought to have been avoided, all the more so when such an interpretation is not only bound to do violence to the language of the various provisions but also inevitably render other statutory authorities like UGC and Universities irrelevant or even as non-entities by making the AICTE a super power with a devastating role undermining the status, authority and autonomous functioning of those institutions in areas and spheres assigned to them under the respective legislations constituting and governing them. In Unni Krishnans case (supra), this Court was not concerned with issues of the nature now sought to be raised and the observations made therein in the context of disputes pertaining to the powers, rights and extent to which the State Legislature or Government could interfere, regulate or prohibit the rights to establish and run professional colleges cannot be taken out of their context and purpose to be pressed into service in this case. As a matter of fact, even this Court, which formulated a scheme to prevent evils of capitation fees etc., specifically excluded from its purview colleges run by the Government and the Universities. Equally, the consideration in Adhiyaman Engineering College case (supra), the question was as to the relative scope and extent of control of a professional engineering college by the State Government in the teeth of the AICTE Act and the powers exercisable by the AICTE under the provisions of the said Act, Rules and Regulations made thereunder. The decisions, the correctness of which are under our consideration in this case, have not kept into consideration before the nature and character of the issues raised in the two decisions of this Court noticed above before relying upon the observations contained therein in dealing with the rights of an university constituted under a State enactment, which, apart from the enactment constituting it, is governed by the provisions of the UGC Act, also made by the Parliament. The decision of the Andhra Pradesh High Court in M. Sambasiva Raos case (supra) has unduly oversimplified and underscored the status, position, as well as the importance of the UGC by stating that the UGC was concerned only with the object of providing grants and financial assistance to educational institutions and serving as a recommendatory and regulatory body completely loosing sight of its superior, vital and exclusive role ordained to it by the Parliament itself as an expert body in regard to Co-ordination and determination of standards in institutions for higher education or research and scientific and technical institutions, and the standards of teaching and examination in universities, even in the absence of the UGC and that too without a proper and comparative consideration of the relative scope and effect of the respective role of the UGC as well as the AICTE. 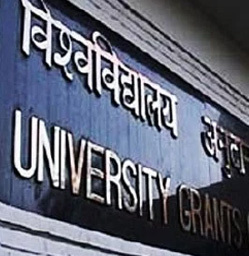 It is by now well-settled that Parliament has enacted the University Grants Commission Act, 1956 as well as the AICTE Act, 1987 in the purported exercise of the powers envisaged in Entry 66 of List-I of the VIIth Schedule to the Constitution of India, which reads as Co-ordination and determination of standards in institutions for higher education or research and scientific and technical institutions. It was permissible for the Parliament to enact a law with the object and aim of co-ordination and determination of standards among a particular class or category of institutions, which may deal with different kinds of education and research as also scientific and technical institutions of different disciplines and specialised branches of even such disciplines. The Parliament, while enacting the AICTE Act, was fully alive to the existence, in full force and effect the provisions of the UGC Act, 1956, which specifically dealt with the co- ordination and determination of standards at university level of institutions as well as institutions for higher studies of the category or class other than but deemed to be universities and yet roped into the definition of technical institution only institutions not being a University as defined in Section 2(i). 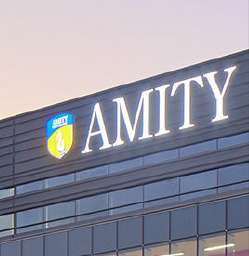 Apart from so defining technical Institutions so as to be exclusive of University even in empowering the AICTE to do certain things, special care seems to have been conspicuously and deliberately taken to make specific mention of universities, wherever and whenever alone the AICTE was expected to interact with universities and University Departments as well as its constituent Institutions. In the statement of objects to the AICTE Act, the evil sought to be curbed was stated to be the coming up indiscriminately of number of private engineering colleges and polytechnics in complete disregard of the guidelines resulting in diluted standards, unplanned growth, inadequate facilities and lack of infra-structural facilities in them and not of any anomalies arising out of any university bodies or UGC to even think of either sidelining or subjugating them by constituting AICTE. The guarded language employed for the said purpose and deliberate omission to refer to the universities in Section 10 (1) (k) of the AICTE Act while empowering AICTE to accord approval for starting new technical institutions and introduction of new programmes or courses by or in such institutions cannot be ignored to be of any insignificance. A careful analysis of the various provisions contained in Sections 10,11 and 22 will further go to show that the role of interaction conferred upon AICTE vis-a-vis Universities is limited to the purpose of ensuring the proper maintenance of norms and standards in the technical education system so as to conform to the standards laid down by it, with no further or direct control over such universities or scope for any direct action except bringing it to the notice of the UGC or other authorities only, of any lapses in carrying out any directions of the AICTE in this regard, for appropriate action. While stating that autonomy of universities should not mean a permission for authoritarian functioning, the High Courts by the construction placed by them have virtually allowed such authoritarianism to the AICTE to such an extent as to belittle the importance and elegant role assigned to the universities in the Educational system of the country and rendered virtually subordinate to the AICTE. In our view, that does not seem to be the object of creating AICTE or passing of the AICTE Act. Such construction as has been placed by the Court in M. Sambasiva Raos case (supra) which found favour of acceptance of the Court in the present case ought to have been avoided and the same could neither be said to have been intended or was ever in the contemplation of the Parliament nor should the UGC and the universities been relegated to a role subordinate to the AICTE. The UGC and universities have always had and have an accepted and well-merited role of Primacy to play in shaping as well as stepping up a co-ordinated development and improvement in the standards of education and research in the sphere of education. When it is only Institutions other than universities which are to seek affiliation, it was not correct to state in the decisions under challenge that an University, which cannot grant affiliation to a technical institution, cannot grant the same to itself. Consequently, the conclusions rendered based on the principles for classifying enactments into `general law and `special law to keep them within their respective limits or area of operation are not warranted and wholly uncalled for and do not merit our approval or acceptance. The AICTE cannot, in our view, make any regulation in exercise of its powers under Section 23 of the Act, notwithstanding sub-section (1), which though no doubt enables such regulations being made generally to carry out the purposes of the Act, when such power is circumscribed by the specific limitation engrafted therein to ensure them to be not inconsistent with the provisions of the Act and the rules. So far as the question of granting approval, leave alone prior or post, Section 10(1)(k) specifically confines the limits of such power of AICTE only to be exercised vis-à-vis technical institutions, as defined in the Act and not generally. When the language is specific, unambiguous and positive, the same cannot be over-looked to give an expansive meaning under the pretext of a purposive construction to perpetuate an ideological object and aim, which also, having regard to the Statement of Objects and Reasons for the AICTE Act, are not warranted or justified. 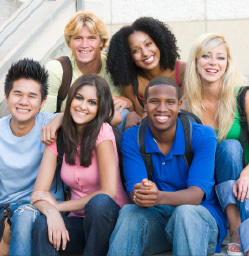 Therefore, the regulation insofar as it compels the universities to seek for and obtain prior approval and not to start any new department or course or programme in technical education (Regulation 4) and empower itself to withdraw such approval, in a given case of contravention of the regulations (Regulation 12) are directly opposed to and inconsistent with the provisions of Section 10(1)(k) of the Act and consequently void and unenforceable. The fact that the regulations may have the force of law or when made have to be laid down before the legislature concerned do not confer any more sanctity or immunity as though they are statutory provisions themselves. Consequently, when the power to make regulations are confined to certain limits and made to flow in a well defined canal within stipulated banks, those actually made or shown and found to be not made within its confines but outside them, the courts are bound to ignore them when the question of their enforcement arise and the mere fact that there was no specific relief sought for to strike down or declare them ultra vires, particularly when the party in sufferance is a respondent to the lis or proceedings cannot confer any further sanctity or authority and validity which it is shown and found to obviously and patently lack. It would, therefore, be a myth to state that regulations made under Section 23 of the Act have Constitutional and legal status, even unmindful of the fact that anyone or more of them are found to be not consistent with specific provisions of the Act itself. Thus, the regulations in question, which the AICTE could not have made so as to bind universities/UGC within the confines of the powers conferred upon it, cannot be enforced against or bind an University in the matter of any necessity to seek prior approval to commence a new department or course and programme in technical education in any university or any of its departments and constituent institutions. To put it in a nutshell, a reading of Section 10 of AICTE Act will make it clear that whenever the Act omits to cover a `University, the same has been specifically provided in the provisions of the Act. For example, while under clause (k) of Section 10 only `technical institutions are referred to, clause (o) of Section 10 provides for the guidelines for admission of students to `technical institutions and `Universities imparting technical education. If we look at the definition of a `technical institution under Section 2(h) of the Act, it is clear that a `technical institution cannot include a `University. The clear intention of the Legislature is not that all institutions whether University or otherwise ought to be treated as `technical institutions covered by the Act. If that was the intention, there was no difficulty for the Legislature to have merely provided a definition of `technical institution by not excluding `University from the definition thereof and thereby avoided the necessity to use alongside both the words `technical institutions and University in several provisions in the Act. The definition of `technical institution excludes from its purview a `University. When by definition a `University is excluded from a `technical institution, to interpret that such a clause or such an expression wherever the expression `technical institution occurs will include a `University will be reading into the Act what is not provided therein. The power to grant approval for starting new technical institutions and for introduction of new courses or programmes in consultation with the agencies concerned is covered by Section 10(k) which would not cover a `University but only a `technical institution. If Section 10(k) does not cover a `University but only a `technical institution, a regulation cannot be framed in such a manner so as to apply the regulation framed in respect of `technical institution to apply for Universities when the Act maintains a complete dichotomy between a `University and a `technical institution. Thus, we have to focus our attention mainly to the Act in question on the language adopted in that enactment. In that view of the matter, it is, therefore, not even necessary to examine the scope of other enactments or whether the Act prevails over the University Act or effect of competing entries falling under Entries 63 to 65 of List-I vis-à-vis Entry 25 of List- III of the Seventh Schedule to the Constitution. The fact that initially the syndicate of the appellant-university passed a resolution to seek for approval from AICTE and did not pursue the matter on those lines thereafter or that the other similar entities were adopting such a course of obtaining the same and that the Andhra Pradesh High Court in M. Sambasiva Raos case (supra) taken a particular view of the matter are not reasons which can be countenanced in law to non-suit the appellant. Nor such reasons could be relevant or justifying factors to draw any adverse finding against and deny relief by rejecting the claims of the appellant- university. We also place on record the statement of the learned senior counsel for the appellant, which, in our view, even otherwise is the correct position of law, that the challenge of the appellant with reference to the Regulation in question and claim of the AICTE that the appellant-university should seek and obtain prior approval of the AICTE to start a department or commence a new course or programme in technical education does not mean that they have no obligation or duty to conform to the standards and norms laid down by the AICTE for the purpose of ensuring co-ordinated and integrated development of technical education and maintenance of standards. For all the reasons stated above, we allow the appeal and consequently set aside the judgment under challenge by dismissing the writ petition filed in the High Court. Having regard to the position of law declared by us, the decision of the Andhra Pradesh High Court reported in M. Sambasiva Raos case (supra) cannot also be considered to lay down the correct position of law. No costs.